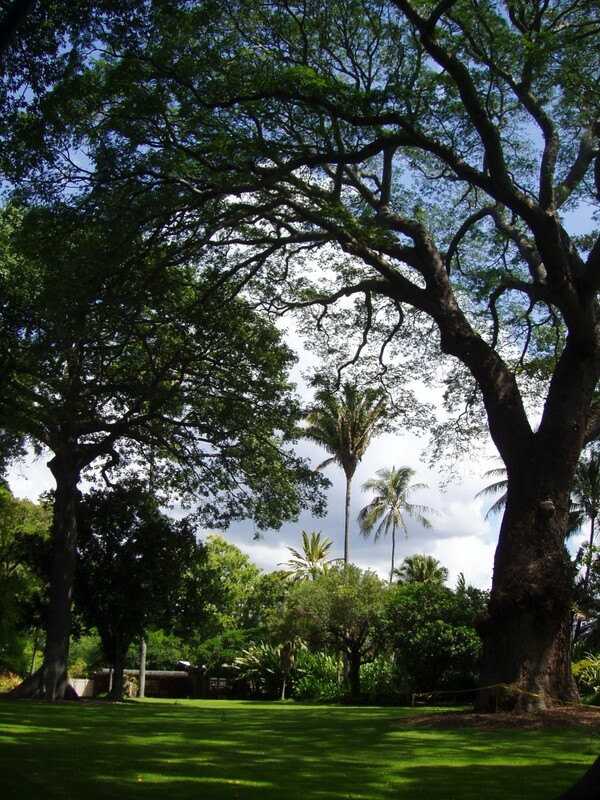 Calling all nature lovers out there! How well do you know about the world’s vast variety of flora and fauna species? Let me give you a short quiz to test your knowledge, and see how worthy are you of calling yourself a nature lover or enthusiast. So, how did it go? If you scored well, congratulations! But if you didn’t, do not fret, because even I had to do quite a bit of research before formulating those questions. Anyway, for all nature lovers out there, if you are looking for a great place to explore the wonders and awes of Mother Nature and her creations, Malaysia is one of the best places in the world that you should consider. 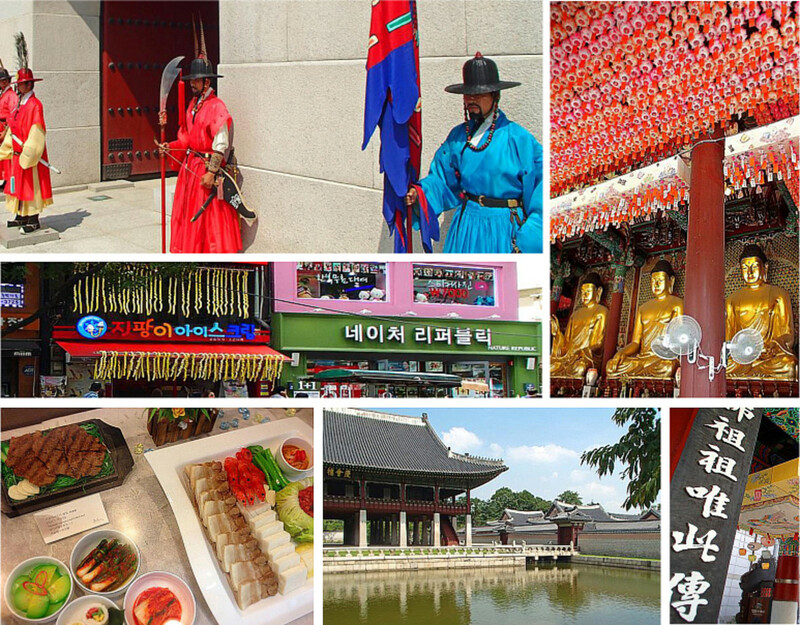 Here are some trivial facts that will tell you why. 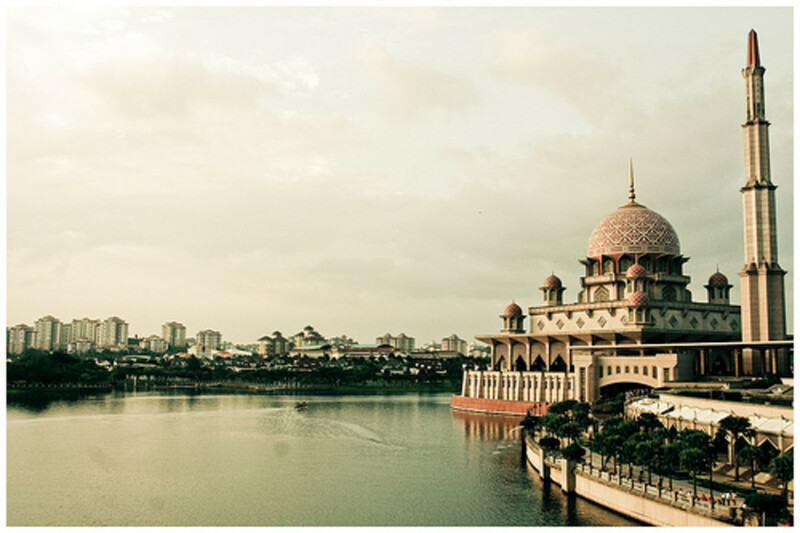 Malaysia is very rich in wildlife, and this includes numerous rare species of flora and fauna perhaps not found in any other parts of the world. The following is a list of twenty of the most well-known rare species found in Malaysia that you should not miss during your outdoor expeditions into Mother Nature’s vast realms. If indeed there was an animal that stood out more than others in the land of Malaysia, that animal would undoubtedly be the Malayan tiger. 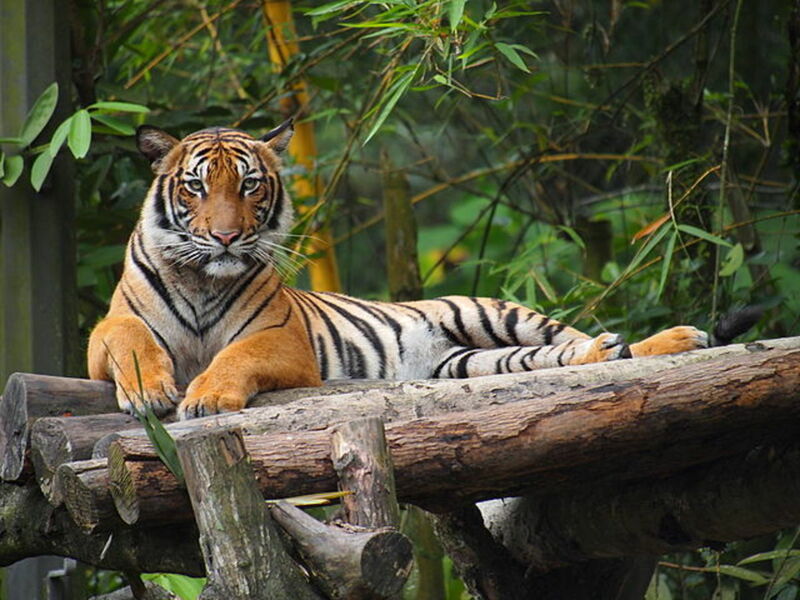 Revered as Malaysia’s national animal and featured in the country’s coat of arms, the Malayan tiger is highly native to the jungles of Peninsular Malaysia. It is locally known as “harimau belang,” which literally means “striped tiger” in the Malay language, and is often recognized as a symbol of bravery. Due to rapid deforestation and rampant hunting for tiger body parts believed to possess medicinal value, however, it is now facing the threat of extinction. 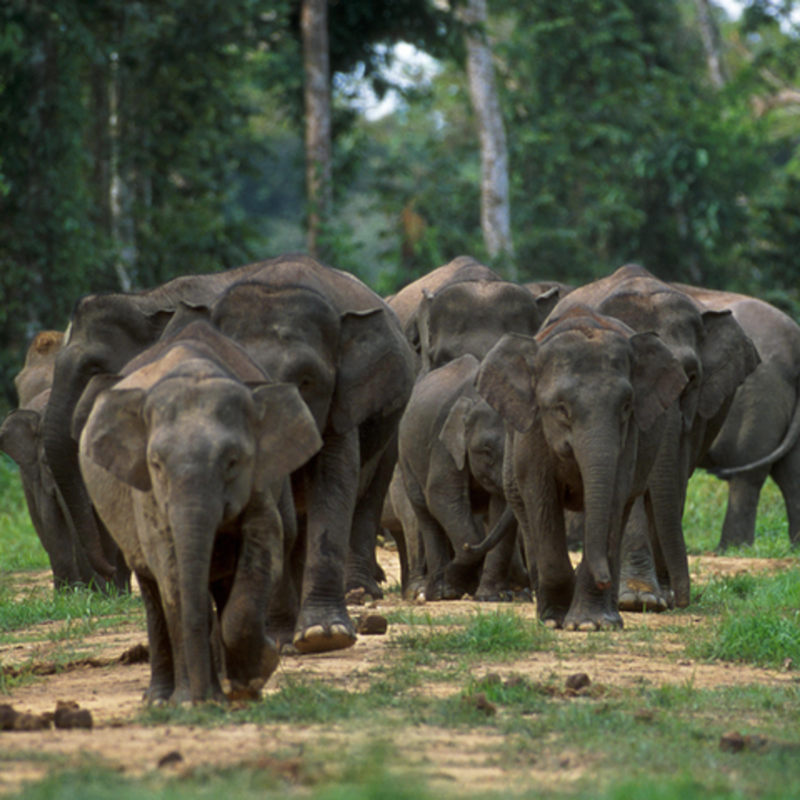 Found in the tropical rainforests of both Peninsular and Borneo Malaysia, the Asian elephant is another species that is fast becoming extinct due to deforestation and widespread poaching for its tusks. The Asian elephant is generally smaller than the African elephant, and some of its body parts differ from the latter. In Malaysian Indian culture, just like in India, the Asian elephant is regarded with reverence in Hinduism, being a common depiction of the Hindu deity Lord Ganesha. Not only is the Sumatran rhinoceros the smallest existing rhinoceros species on earth, it is also the most endangered of them. While the Sumatran rhinoceros was once among the most populous species in the jungles of Peninsular Malaysia and Sabah, it is now one of the rarest, largely due to excessive poaching for its horn and logging activities that have destroyed much of its natural habitats. 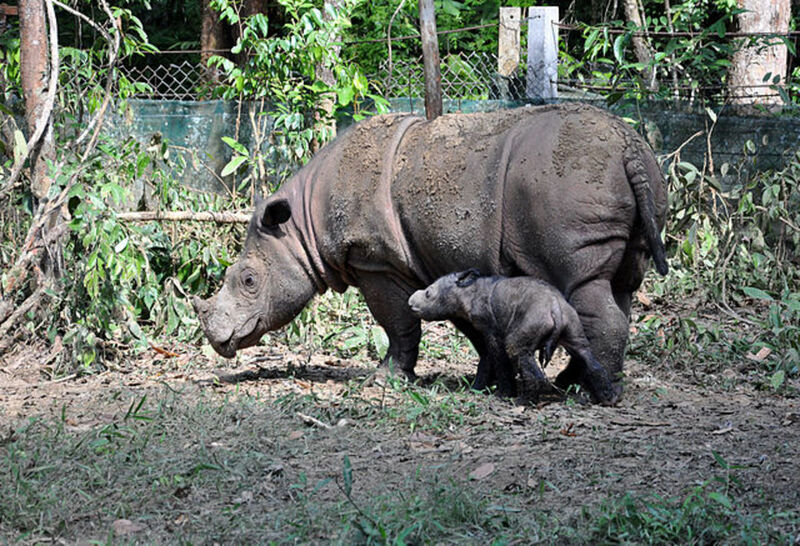 It is believed that the only local concentration of the Sumatran rhino population that still exists to this day is found in the Taman Negara or National Park of Malaysia. 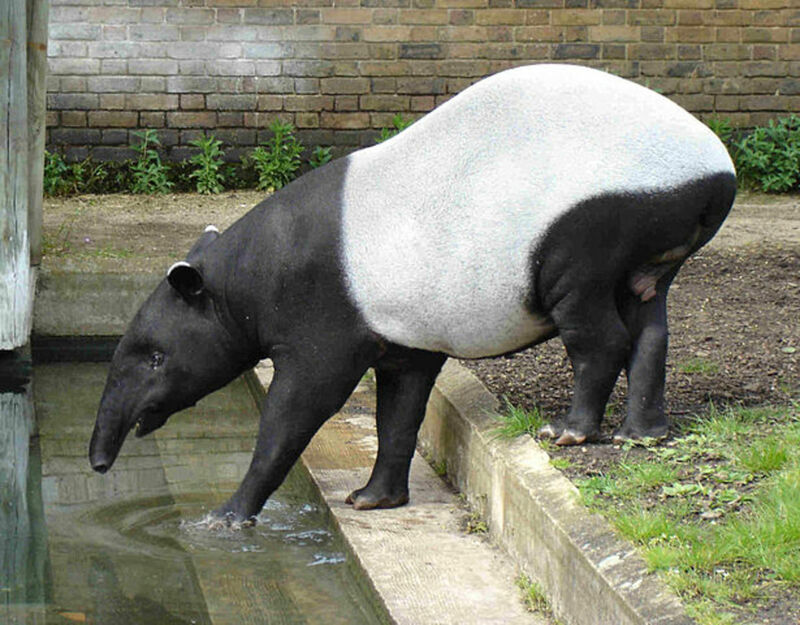 Among the world’s four existing species of tapir, the Malayan tapir is the largest by size and the only one native to Asia. It is known locally as “cipan” or “tenuk” in the Malay language, and is found primarily in the lowland tropical jungles of Peninsular Malaysia. This animal is unique in the sense that it has a huge white or light-coloured patch extending from its shoulders to its rear end, while the rest of its body is black or dark-coloured. Its solitary nature and long gestation period, coupled with extensive deforestation, has rendered the Malayan tapir an endangered species under government protection. 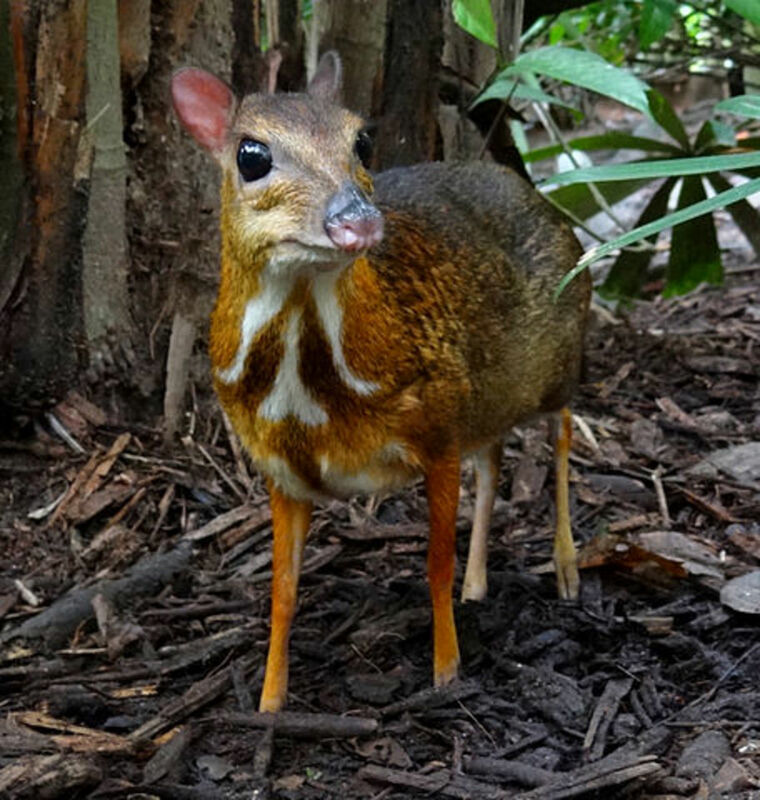 To the locals, the lesser mousedeer is probably another one of the most well-known creatures in the jungles. It can be commonly found not only in the jungles of Peninsular Malaysia, but also in East Malaysia and many of the smaller islands within Malaysian waters. 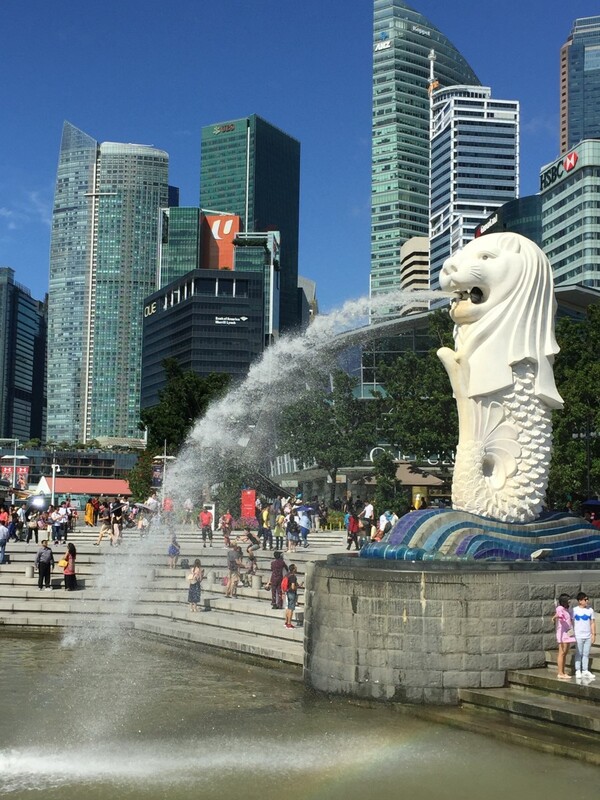 What makes this creature so popular and lovable locally is the fact that it is often portrayed as a wise animal and the main protagonist in many Malay folklores since time immemorial. 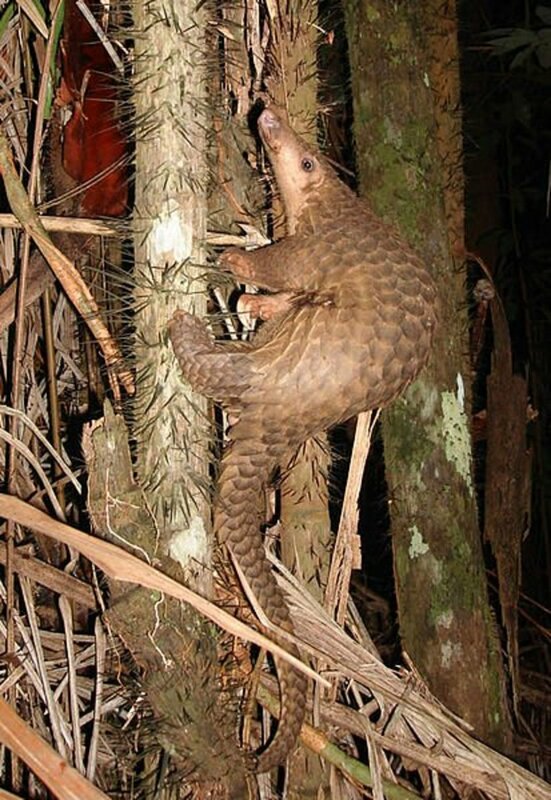 Due to deforestation, predation and poaching for its scales, the Malayan pangolin is another species that is fast becoming endangered in Peninsular and East Malaysia’s forests. This animal can often be seen on trees either resting or searching for food with its powerful claws. When threatened, it can roll itself up into a ball in order to use its hard scales to protect its soft underparts. Despite its misleading name, the Malayan flying lemur is not a lemur, but rather a species of colugos or arboreal gliding mammals. The term “flying” in its name is another misleading point, as it is unable to fly but instead leaps and glides among trees with skill and precision. Its thin membranes extending from the neck along its limbs to the tips of its fingers and toes aid in its gliding ability. 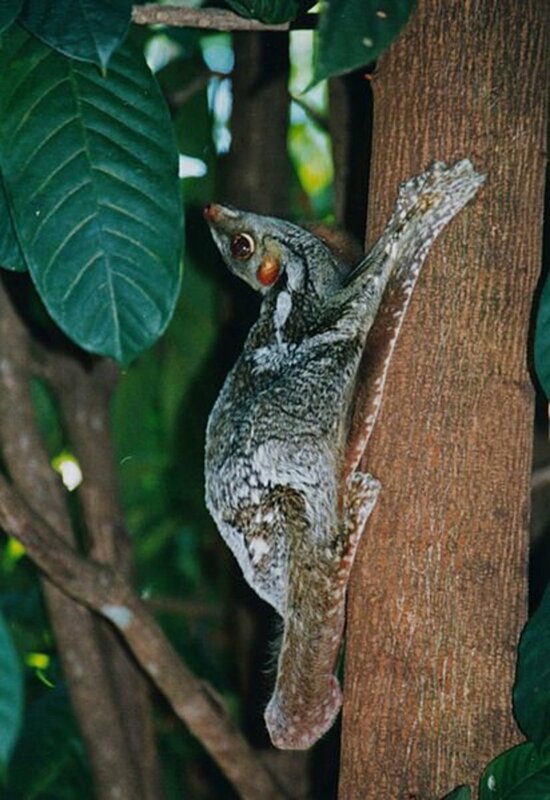 The Malayan flying lemur can often be seen gliding in the high canopies of dense tropical rainforests in both Peninsular and East Malaysia, especially at night. 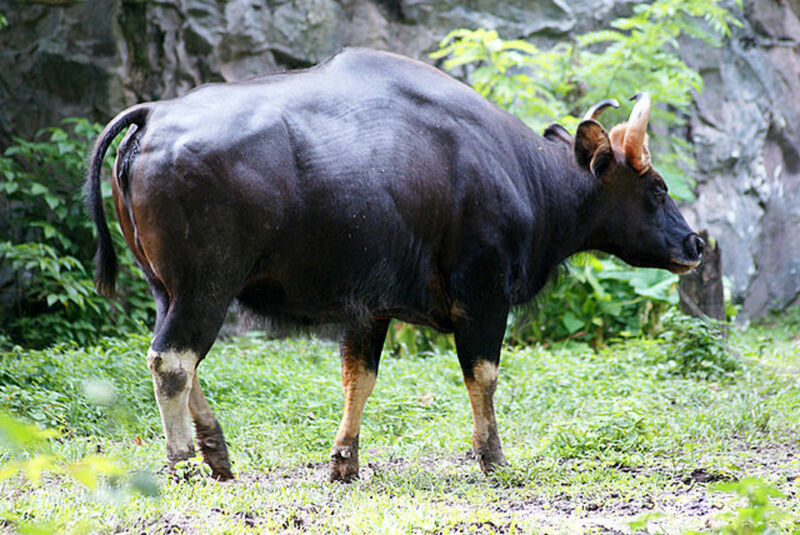 Known locally in the Malay language as “seladang,” the gaur is a large species of wild cattle found in Peninsular Malaysia, either wild in low-lying areas or domesticated for farming purposes. The gaur is one of the largest bovine species on earth, possessing large horns and massive strength that renders it difficult for domestication, thus it is often not a preferred choice in agriculture. Rather than in thick, dense jungles, one has a much better chance of spotting a gaur in wild open land, occasionally even along highways or in plantation lands. 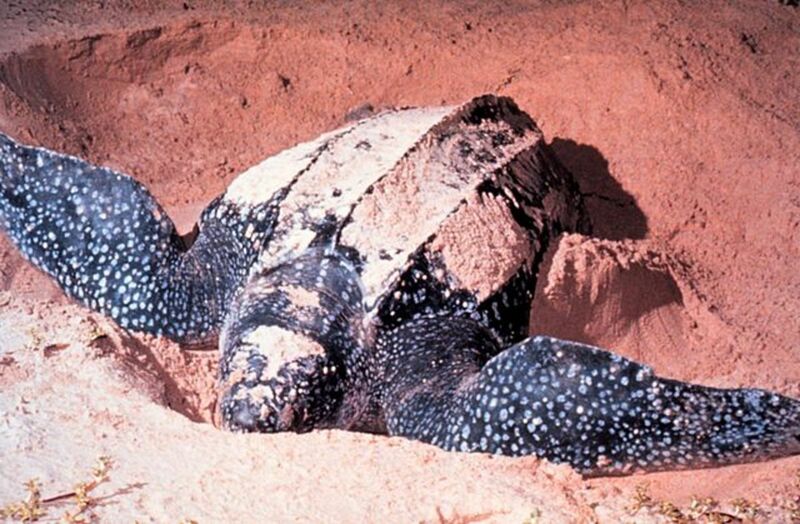 Before the advent of modernization, Malaysia used to be a sanctuary for the breeding of leatherback sea turtles, but this has now become a thing of the past due to poaching for turtle eggs, as well as widespread pollution and rapid development that has ravaged much of Malaysia’s once pristine coastlines. Nonetheless, tireless efforts by both the government and non-governmental organizations over the years have succeeded in restoring at least a fraction of the country’s past glory with regards to turtle breeding. In addition to the few islands off Malaysian shores that still possess unspoiled beaches frequented by turtles for breeding, one of the most renowned spots favoured by leatherback sea turtles when it comes to the egg-laying season is the beach of Rantau Abang in the state of Terengganu. 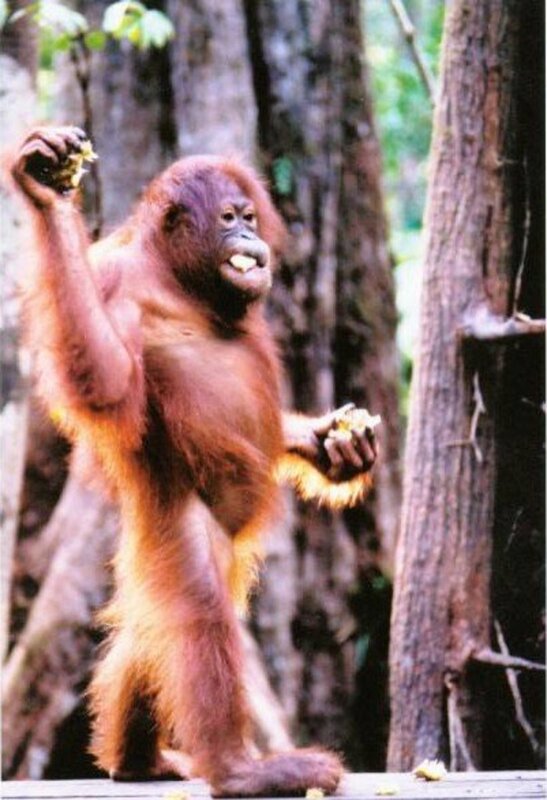 Nature lovers and enthusiasts out there, don’t you just love the smart and adorable orangutans! Arguably one of the most renowned inhabitants of the Bornean rainforests, the Bornean orangutan is highly native to the tropical rainforests of Borneo, in which it can be found in significant numbers in the dense and mountainous interiors of the East Malaysian states of Sabah and Sarawak. The orangutan is widely believed in scientific circles to be an extremely intelligent animal, as well as one of man’s closest relatives in the history of evolution. Indeed, for centuries past, the indigenous people of Borneo believed the orangutan to be another tribe of people, thus calling it “orang utan” (lit. “people of the jungle”). Although not as famous as the orangutan, the proboscis monkey is another species of primates found only on the island of Borneo. In the Malay language, it goes by the name “bekantan” or, sarcastically, “monyet belanda” (lit. 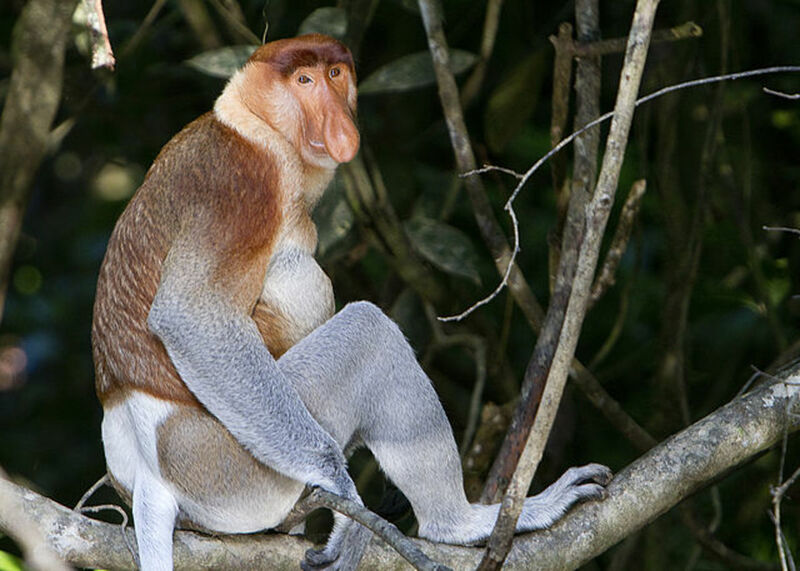 “Dutch monkey”) due to the fact that the Indonesians during the Dutch colonial era remarked that the Dutch colonizers had large noses and bellies similar to it. What make this primate so unique are its unmistakably large nose and bulging stomachs that resemble pot bellies. Most of the extant populations of proboscis monkeys today dwell mainly in the rainforests of Kalimantan, Indonesia, but some can still be found particularly in national parks and protected areas throughout Sabah and Sarawak. 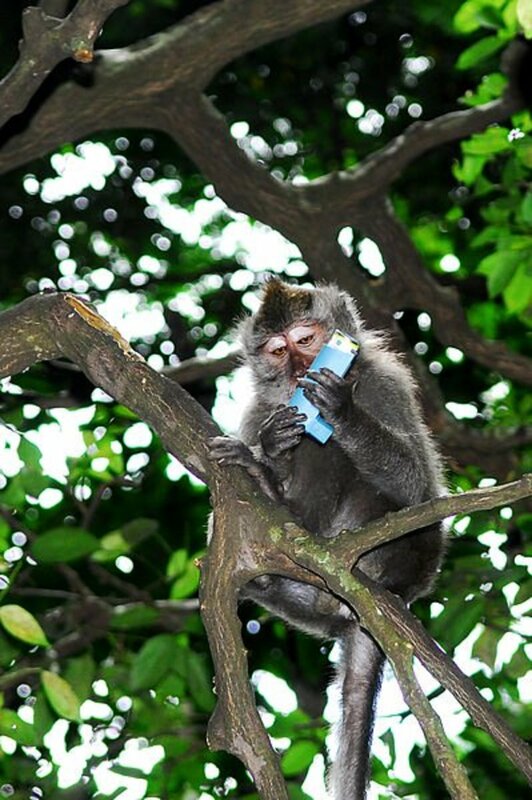 This species of macaque is native to Southeast Asia and can be commonly found in both Peninsular and East Malaysian rainforests and mangroves. In the local Malay language, it is called “kera”, while its English name is derived from the fact that it includes crabs and small crustaceans as part of its diet, although most of its food comes from plant sources. Besides its natural habitats, the crab-eating macaque can also be commonly spotted in some Hindu temples throughout the country, since it is considered sacred to some Hindus. If you do see one, do be careful with your belongings - this mischievous creature is well-known for being a sneaky thief. The siamang, the largest of the gibbons or lesser apes, is yet another species native to Peninsular Malaysia’s lowland and mountainous forests. It is a tailless, black-furred gibbon that is unique in two aspects – its membrane partially joining two digits on each foot, and its highly inflatable throat pouch which it uses to make loud, resonating sounds. 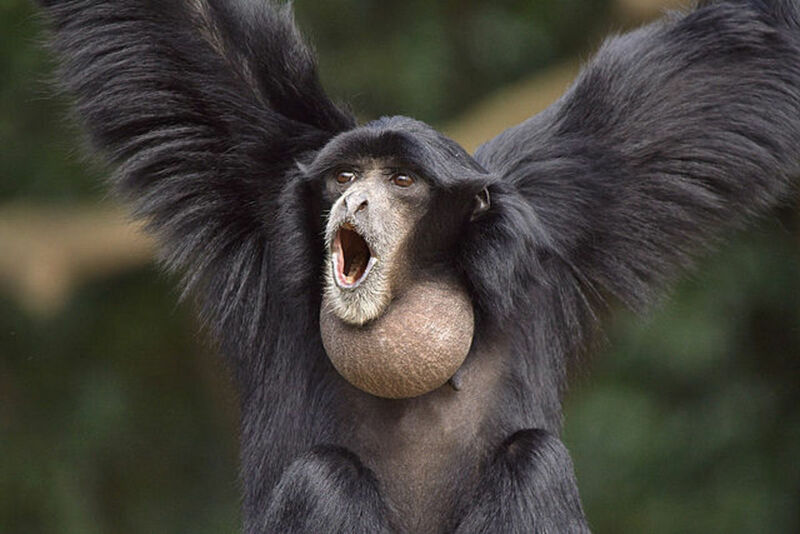 Being a very sociable creature, the siamang can be heard making loud calls during the day, especially in areas where fruits are more abundant. Due to its elusive and shy nature, this bird species can at times be difficult to spot in the wild. It is endemic to the lowland jungles of Peninsular and East Malaysia, leading sedentary lives and preferring to move within its territorial ranges only, which may not extend very far from its original place of hatching. 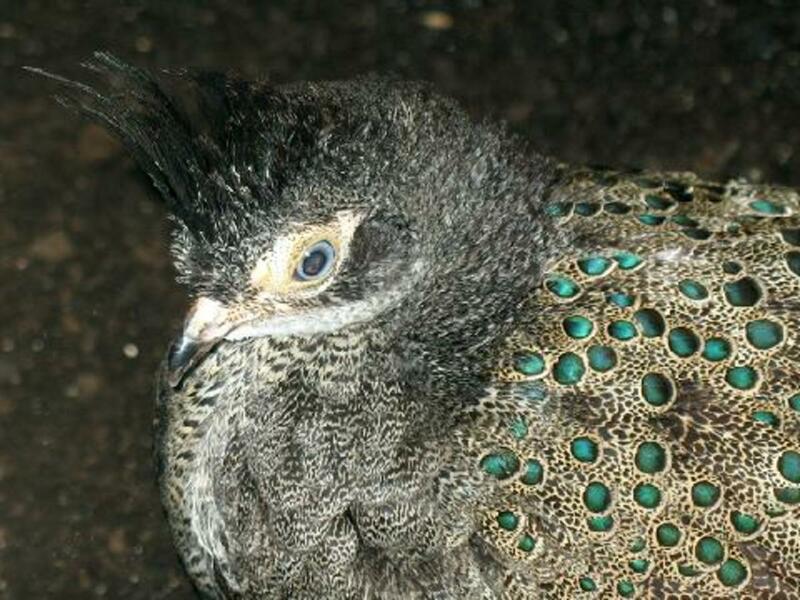 Among all peacock-pheasants, the Malayan peacock-pheasant has one of the shortest tails, and its feathers are marked with unique blue-green eyespots throughout its back and upper wing surface. Perhaps the most recognizable member of the animal kingdom in the East Malaysian state of Sarawak, this hornbill is definitely no stranger to the people of the state. 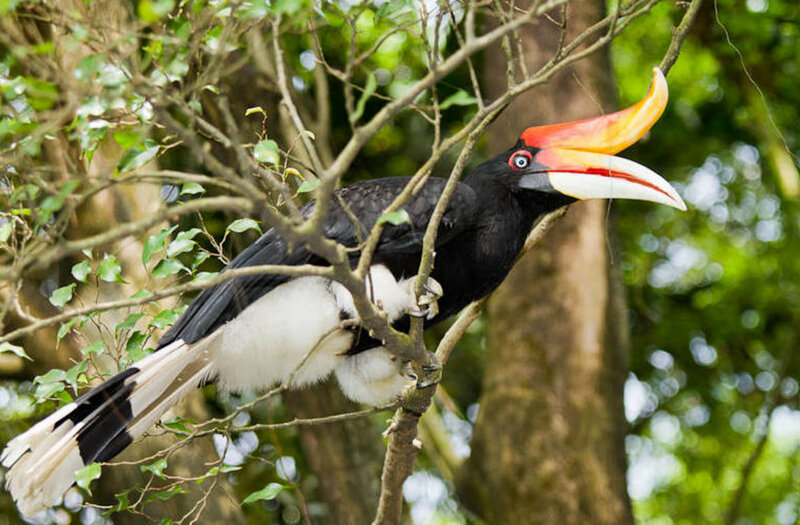 Being one of the largest extant species of hornbills, the rhinoceros hornbill holds deep significance to the people of Sarawak, being a divine symbol revered in the traditional beliefs of the state’s various indigenous tribes. Today, the rhinoceros hornbill is recognized as the state bird of Sarawak, in which the state’s Malay nickname, “Bumi Kenyalang,” literally translates into “Land of the Hornbills.” Despite being found in larger numbers in Sarawak’s rainforests, this attractive bird can also be spotted in several rainforest areas throughout Peninsular Malaysia. In addition to the rhinoceros hornbill, there exist numerous other species of hornbills native to both Peninsular and East Malaysia’s wildlife-rich tropical jungles that you should not miss. These include the great hornbill (Buceros bicornis), the Oriental pied hornbill (Anthracoceros albirostris), the black hornbill (Anthracoceros malayanus) and the Malabar pied hornbill (Anthracoceros coronatus). For amphibian fans out there, this is probably one of the few species that you should not miss out on in your outdoor expeditions. The Malayan flying frog naturally dwells in the rivers and freshwater marshy lands of Peninsular Malaysia. Once again, its common name is a misnomer, as it is unable to fly on its own, but is able to jump high and glide as if it is flying. 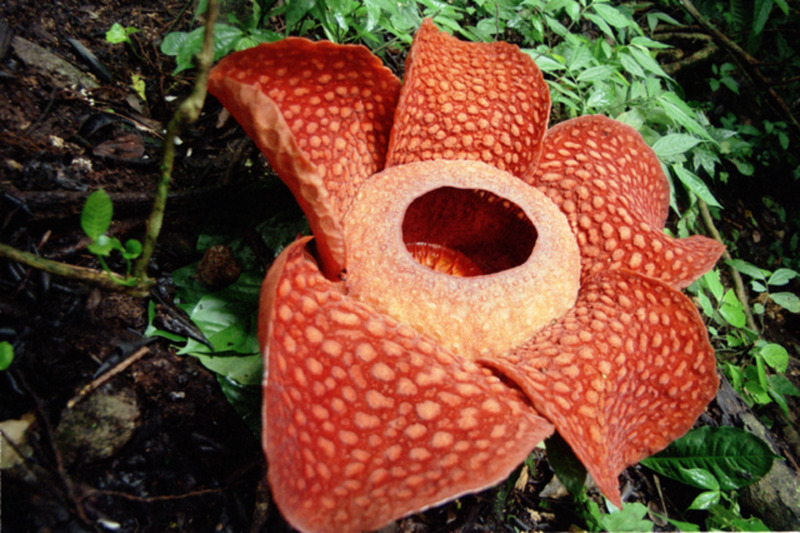 In the vast kingdom of plants in Malaysian wildlife, nothing stands out more than the famous, or in fact infamous, rafflesia. Reputed not only for being among the largest genus of flowers in the world, it is also notorious for being the smelliest, producing foul odours said to be similar to rotting flesh attractive to flies. Despite both its fame and notoriety, it is officially recognized as the state flower of Sabah, being native to the jungles of the state and also the rest of Malaysia. The largest of rafflesias, the rafflesia arnoldii species, is endemic to Sabah’s Borneo rainforests, and in fact holds the record for producing the largest individual flower on earth. We have heard of animals eating plants (herbivores/omnivores), but have you heard of plants eating animals before? 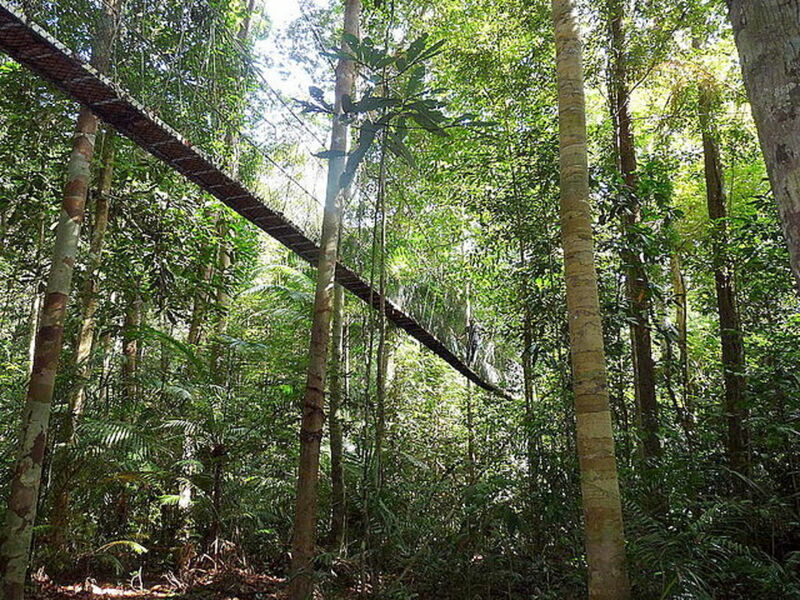 Well, Malaysia’s rainforests is just the place for you to see and be amazed at this unusual wonder of our natural world. Pitcher plants are among the few types of carnivorous plants that exist in nature, and they thrive abundantly in Malaysia’s tropical jungles. 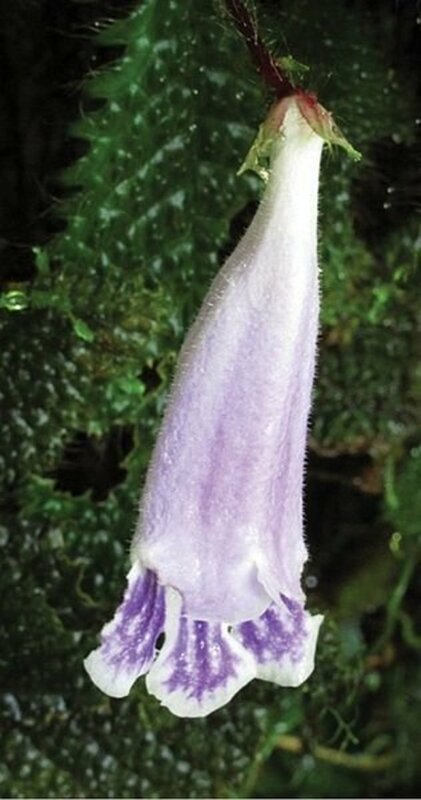 The unusual feature of this plant is that it attracts insects onto it with scents and nectar, after which it traps its victims inside its pitcher-like structure before digesting them. 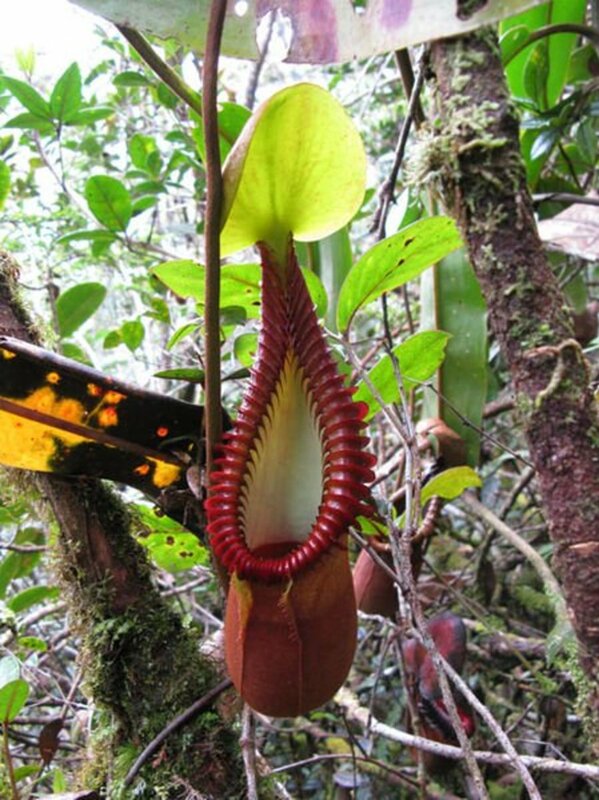 Although many species do exist within Malaysian territories, the most endemic of these is the Nepenthes macrophylla or the large-leaved pitcher plant, which can be found in no other place on the planet but Mount Trus Madi in Sabah. 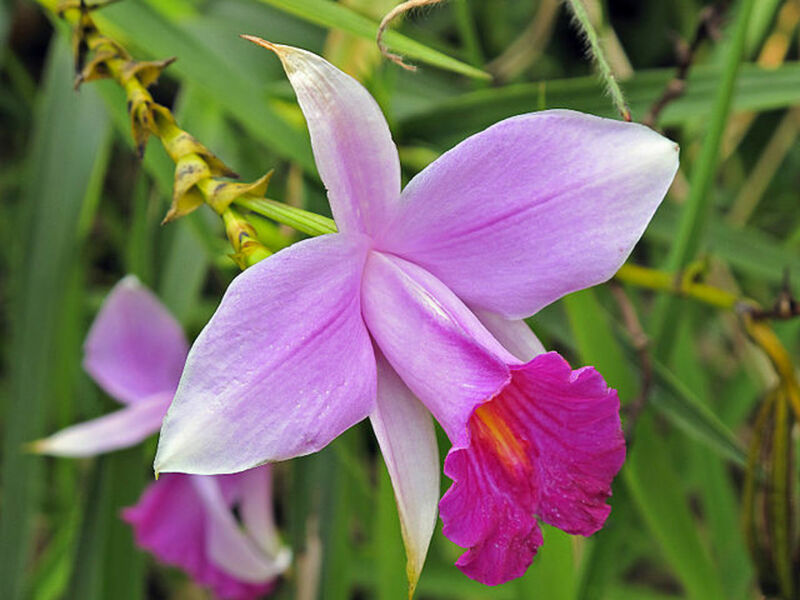 One need not make a strenuous expedition into Malaysia’s rainforests in order to spot this famous wild orchid species. Drive along the highways and country roads of Sarawak, and chances are that you’ll be able to spot some of them thriving by the dusty roadsides. 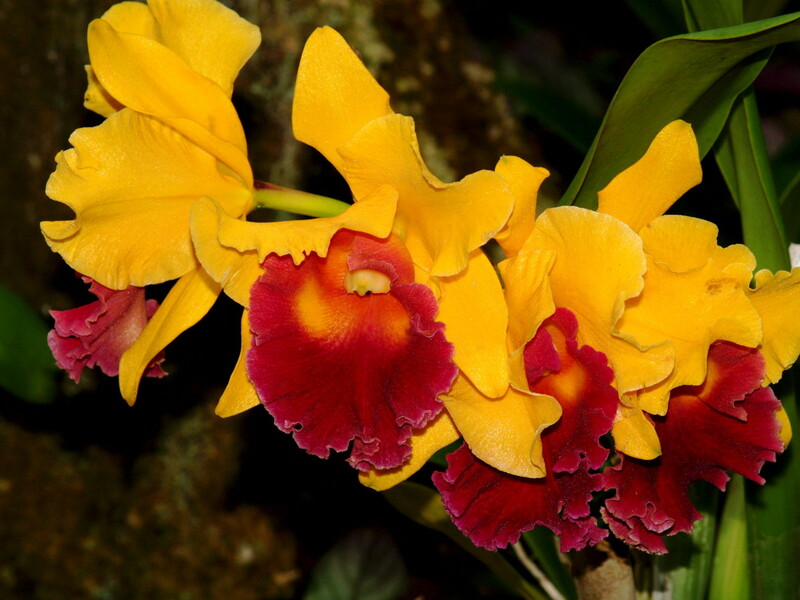 Nonetheless, for those of you out there who would prefer a more “proper” approach in searching for this eye-catching flower species, they can be plentifully found in tropical rainforests throughout the country. Alternatively, pop into any botanical garden in Malaysia, and you will most likely be able to spot rows of them displayed for your general delight. No doubt, this species of flowering plants is so new and rare that it currently does not even have a common name attached to it. It was first discovered by scientists way back in 1932, but it has not been studied and described until much recently due to its extreme rarity. Currently, only two small montane forest populations of this plant have been discovered in Fraser’s Hill in the Peninsular Malaysian state of Pahang, one of which falls within a protected zone inaccessible to tourists. Hence, in the somewhat unlikely event that you do get an opportunity to set your eyes on this rare flower, don’t forget to take out your cameras and snap away (but please do not pluck it!). Convinced enough to come to Malaysia to see some of the world’s rarest tropical wildlife species? If so, what are you waiting for? Book your tickets right now, all of you nature lovers! A plant and animal malaysian lover. All here are going to become extinct okay shut up stop posting about them and do something about the deforestation you lazy morons. You forgot about sun bears though!!! Excellent article. Have been to Indonesia (not everywhere ofcourse), still have to go to Borneo etc.